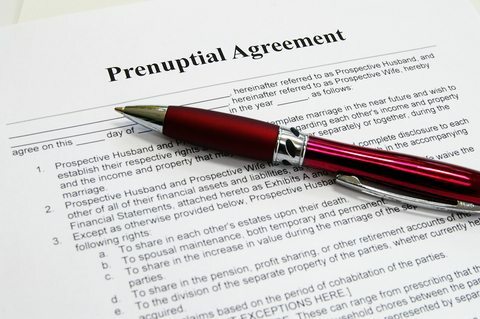 A recent New York court decision illustrates that circumstances surrounding the formation of a prenuptial agreement (“prenup”) can be as important as the prenup document itself. The New York case involved a prenup entered into by Elizabeth Ciofi-Petrakis/Wife and Panagiotis Petrakis/Husband in 1998. According to a recent article published on Shine from Yahoo.com, Mr. Petrakis presented the prenup to Ms. Ciofi-Petrakis four (4) days before the marriage and promised he would add her name to the deed of a home, presumably owned by Mr. Petrakis prior to the marriage and destroy the prenup after the birth of the parties’ first child. The article states that Mr. Petrakis never fulfilled any of his alleged promises. The New York court found the Wife’s testimony regarding the facts leading to the formation of the parties’ prenup to be credible and set aside the prenup on the grounds Mr. Petrakis fraudulently induced Ms. Ciofi-Petrakis to sign the prenup. An attorney quoted in the Shine from Yahoo.com article called the decision a landmark case, but it is really? The court, citing a prior New York court’s decision, noted “…there is a heavy presumption that a deliberately prepared and executed written instrument manifests the true intention of the parties.” Would the result have been different if Ms. Ciofi-Petrakis was given more time to review the document and Mr. Petrakis had fulfilled his alleged promises? 1) Provide complete and full disclosure of all assets and liabilities prior to signing the prenup. If you have assets that are difficult to value, such as businesses, hire experts to value the assets before you enter into the agreement. 2) Discuss in great detail the scope of the coverage of the prenup, including but limited to, property and assets, debts, retirement accounts, estate issues, and alimony. 3) It’s a good practice to memorialize discussions and negotiation regarding the prenup in writing to avoid “he said, she said” credibility issues in the future. 4) Allow plenty of time for your future spouse to review a proposed prenup and associated financial disclosures. Never rush or pressure your spouse into signing the document. 5) Ensure that both parties have attorneys to review the prenup. If one party refuses to retain counsel, there should be explicit, written communication encouraging the non-represented party to obtain counsel well before the document is ever signed. 6) Don’t make promises you do not intent to keep. If, for example, a spouse will receive a set amount of funds in the event of a divorce it is best to have the funds set aside to fulfill the promise. It is not an easy task to discuss a prenup when you are about to make a lifetime to commitment to your future spouse, but failure to openly, honestly and transparently communicate about the contents and context of a prenup can cost you in the future. If you have any questions about prenuptial agreements in Florida, do not hesitate to contact us.